The jars were $1.50 each at the Dollarstore. Each one holds about 1.5 cups. Some things just have to be made ahead. There’s no getting around it, especially if you’re making things for Christmas gifts. Today on Nova Scotia’s South Shore we received a rude announcement to the fact Christmas is getting very close. 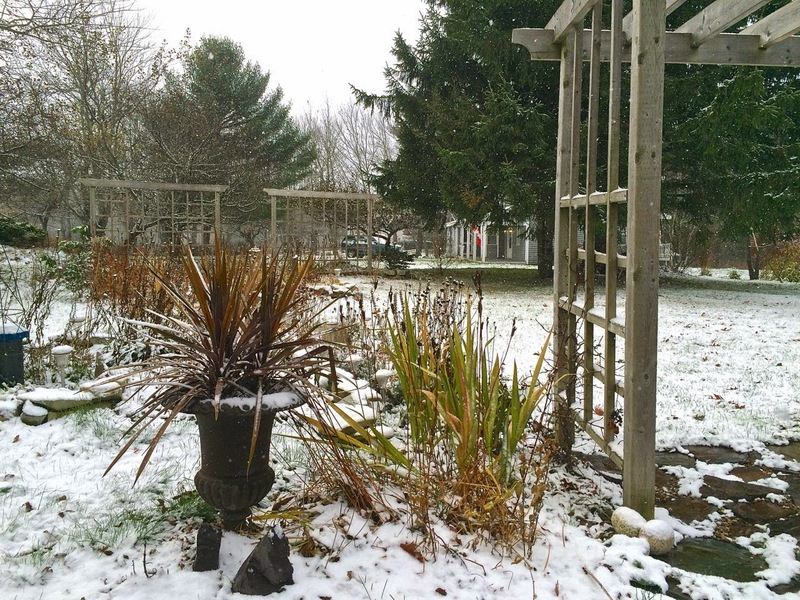 It came in the form of about an inch of overnight snow. It was the first of the season. For a while it seemed that autumn would go on forever. Yesterday’s day time temperature was 14°C. One gift that is a sure-fire winner to give, and amazingly easy to make, is mustard. All you need is some liquid, seeds and a blender. Most recipes require no cooking, and a basic recipe can be tailored very easily. The only caveat is they all, although capable of being used after 4 days, benefit from sitting for a month. The flavours smooth out and blend together better. So that’s why it’s important to get a move on. Santa will be overhead before we know it. If you’re going to put some things in his sleigh, the time is nigh. This recipe makes 5 cups of mustard. That's a lot, or in other words, enough for 3 really nice gifts and a small pot for me! Mustard is very anti-bacterial stuff and has been used as one for millennia. Prepared mustard is also acidic. Some sources say refrigerate, some do not. It’s always best to err on the side of caution. So refrigerate (although it’s probably fine if you don’t.) I think it’s more of a consistency thing than anything else. The seeds after soaking 2 days. Place the seeds in a 1 L jar. Pour the brandy and water into the jar. Shake, cover and then let sit undisturbed for 1 to 2 days. Pour the entire contents into a bowl. Add the maple syrup, mustard powder, vinegar, thyme and sea salt. 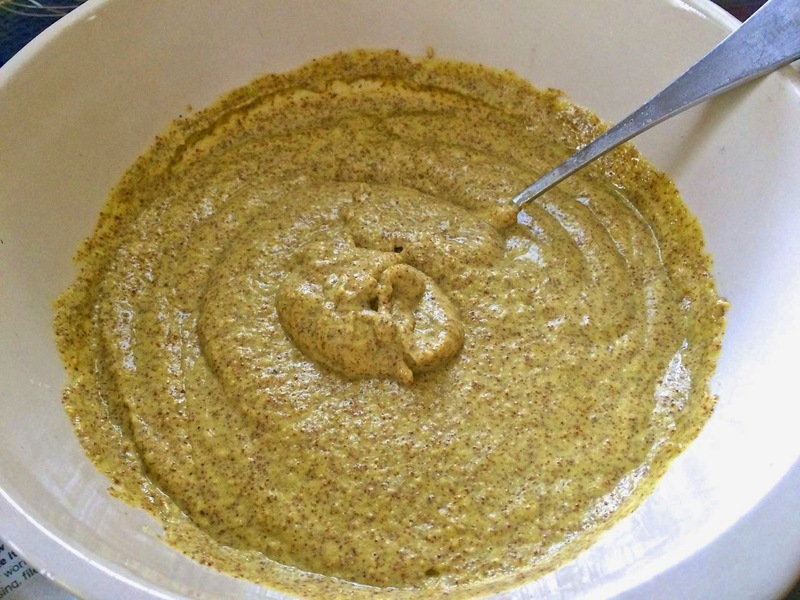 Working in small batches with a blender or food processor, process the seeds to a paste-like consistency. You can leave some of the partially visible. As you make the paste, pour it out into a clean bowl. 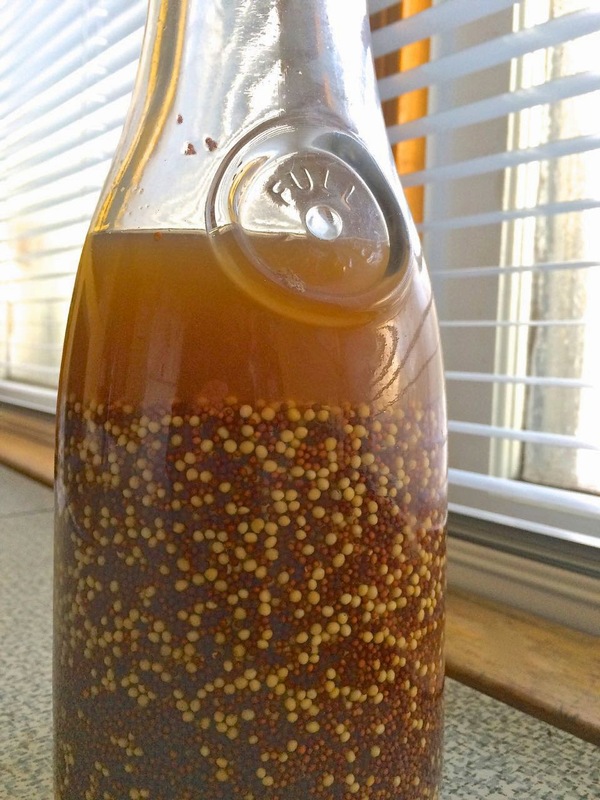 Fill sterilized jars with the mustard and cover tightly. Let sit for at least 4 days before serving. One month is optimal as the flavours mellow and blend. 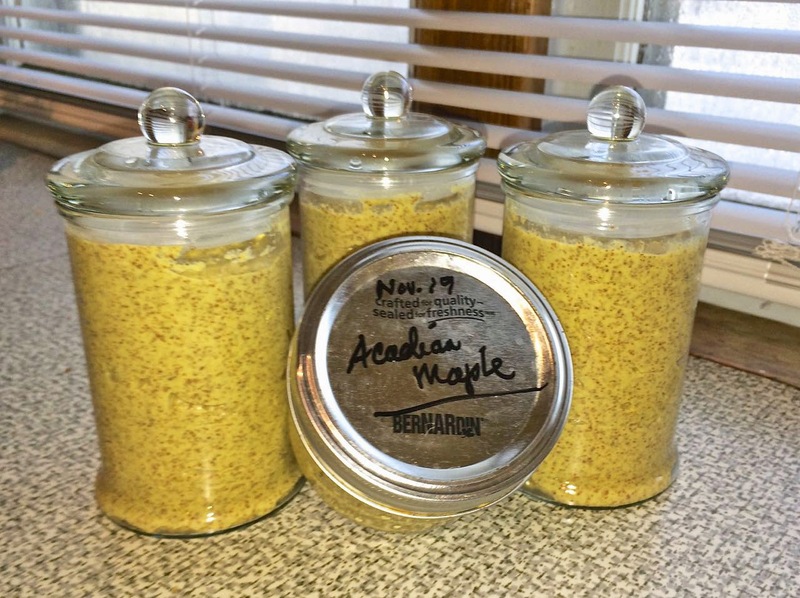 i love homemade mustard! my favorite right now is truffle whole grain mustard.